Good formatting can make the difference between a professional-looking document and an unpolished draft. When you’re working on a resume, for instance, indents, bullet points, and bolded text are essential. So what do you do when you want to give your writing a thorough polish without messing up all your careful formatting? Can Grammarly help? You bet it can! Open a new document in the Grammarly Editor. Click the plus sign in the upper left corner. Choose Upload document. Choose the file you’d like to edit. Next, you’ll see your text appear inside the Grammarly Editor. 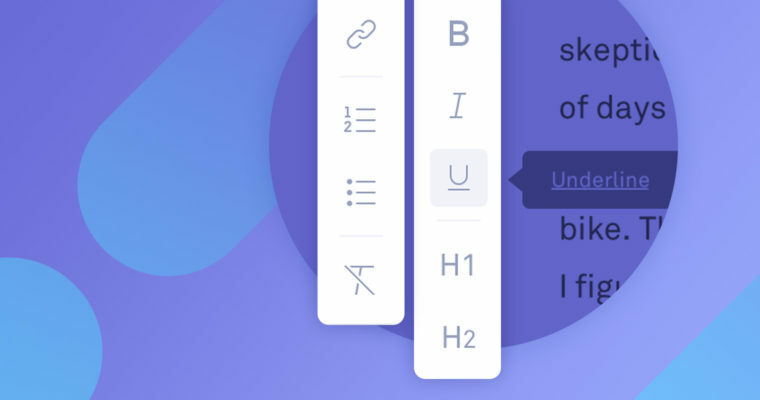 Although you won’t see any text formatting like bold or italics, the original formatting has been saved. When you’re done editing your work, click the arrow pointing down in the upper left corner. Choose Download document to transfer your edited text back to the source document, preserving the original formatting. If you’re on a Windows computer, you can use Grammarly for Microsoft Office to edit directly in your Microsoft Word document. Download the latest version of Grammarly for Microsoft Office here. Next time you open up a Word document, you’ll see a new Grammarly tab that allows you to turn Grammarly on and off, adjust settings, and more. Here’s a tip: Write a lot of emails? Grammarly for Microsoft Office works in Outlook, too! Alerts will appear along the right side of your document. Click an alert to apply a correction to your text, or click the small X to dismiss the suggestion. Note: Track changes and the Undo function are disabled while using Grammarly for MS Office.